Tickets go on sale from 5 February. Get one before they run out! I'm very lucky in that my career has let me attend all the main CG events on the calendar. There are many events for digital painters, animators, visual effects artists and visualisers of all kinds, across the globe. From Tokyo to LA, you can find something that will inform you about the latest trends, upcoming tools and that will showcase the best of the most recent projects. THU in Malta is one of very few (along with our own Vertex) events that I have been to that not only demonstrates tools and techniques, but will inspire you to greater heights, reigniting your drive to create. It also totally transforms your outlook – not just in terms of creativity but in your approach to many aspects of your life and relationships. THU has often been described as a transformative experience and I have to agree. Not only do you come away energised and raring to get back to whatever form of art you create, but you leave with a bigger family than you arrived. There is limited space so get your tickets soon! Every edition of THU enables you to reconnect with old friends and make many new ones. 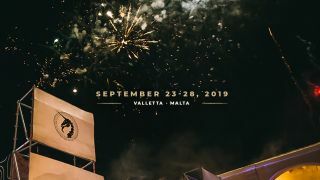 This year's edition takes place 23-28 September in Valetta, Malta. If you go with the intention of growing your working network, then you wont be disappointed but that network will be comprised of as many new friends as it is professional acquaintances. If you want to catch up, talk art and have a few drinks you can, or you can spend your time sketching, swapping tips with your fellow artists and getting invaluable advice from your heroes. THU has absolutely changed the way I work and play. It has let me catch up with old friends and colleagues from many years ago, it's helped me learn new skills, make many new lifelong friends and built an urgency in me that drives me to better myself. It isn't the place to see demos of new software, so if you are looking for a trade expo, then look elsewhere, but it is the place to find new friends and light a fire in your artistic belly. Tickets go on sale on 5 February, and start from €492.5 – buy your ticket to THU here. And if you do make it over to Valetta, then do come and find me to say hello!